It’s always such a treat to see how interior designers style my pieces in their client’s homes, and this beauty is no exception! 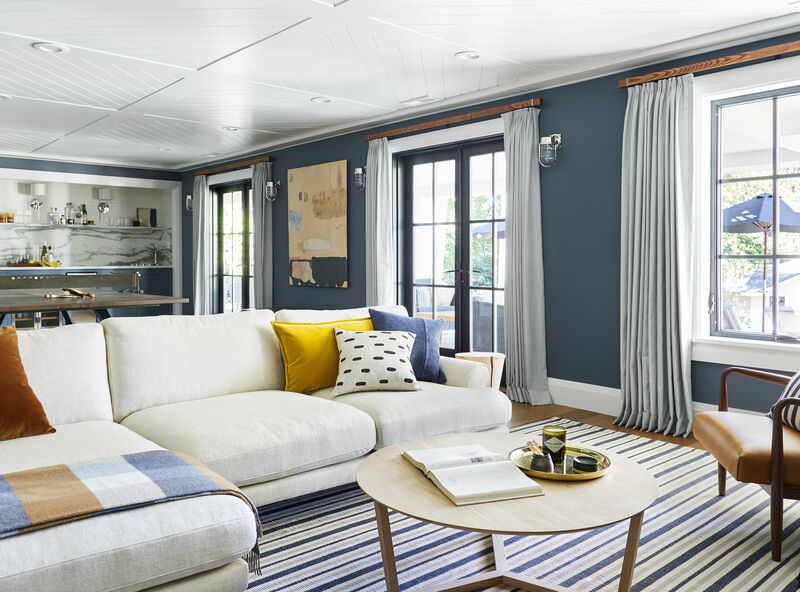 Emily Henderson featured Cotton & Flax throw pillows in her gorgeous Portland House project, specifically in the dreamy media room, which included a built in wet bar and a walnut ping pong table with a leather net (!!!). My pillow added a pop of modern pattern to the gorgeous linen sofa, such an inviting spot to curl up and watch Netflix for an hour or three. I love the pallette that Emily chose for this space. Golden yellow is one of my all time favorite colors (I find it to be a classic color that doesn’t look dated), and combined with gorgeous grey blues it just sings. Because I envisioned this being used as a family space, I wanted the color palette and textiles to be playful and not as serious as they were upstairs. 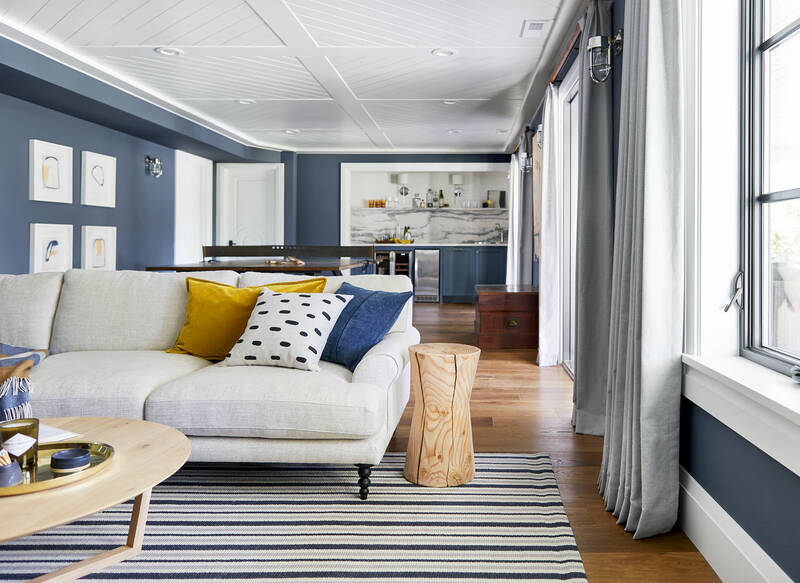 A striped rug is subtle but adds a nice graphic punch (as does the black and linen pillow) and the throw pillows and blanket bring that bright but comfy pop with some earth tones. Our brushstroke pillows are sold out, but if you want to re-create this look, you can find a similar throw pillow in our online shop!